Results are in from the big Surftech Jay Raceheld @ Santa Cruz today. 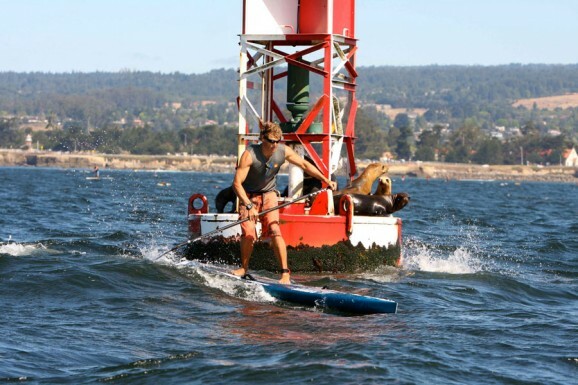 The event is held each year in memory of big wave legend Jay Moriarity and this year and attracted over 200 paddlers. Jamie Mitchell was the big winner, taking out the elite 12 mile race in the 14′ class, with Matt Becker in 2nd. Candice Appleby absolutely dominated the women’s race, taking out the elite 12’6″ division ahead of Alison Riddle and Jen Fuller, while Brit Oliphant won the women’s 14′ class.